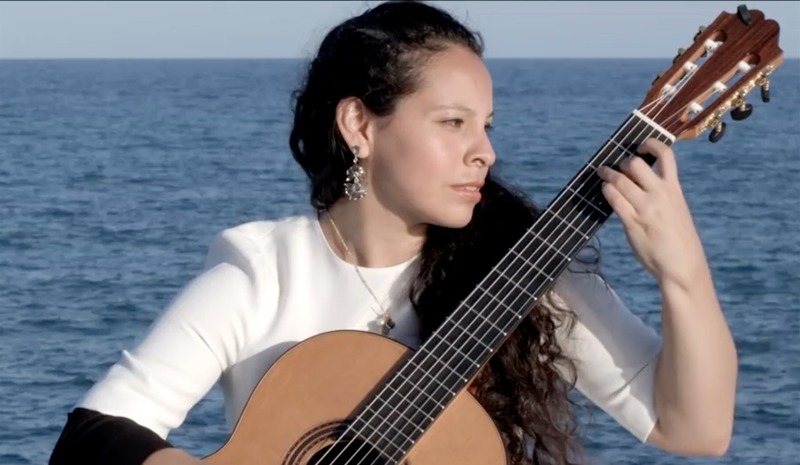 Peruvian classical guitarist Kathy Acosta Zavala plays Variations on a Theme of Scriabin by Polish-born French composer and virtuoso pianist Alexandre Tansman (1897–1986) and El Arpa y la sombra by Cuban composer and guitarist Leo Brouwer (b. 1939). 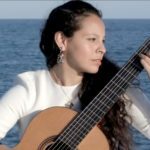 She wrote a nice message on facebook, “for the past six months, I’ve been learning from the living legends of the guitar world at the Masters in Classical Guitar Interpretation of the University of Alicante. Now I am starting my PhD in Musicology and Classical Guitar Performance at the University of Arizona. This summer I had the pleasure of shooting three wonderful videos in Alicante, two of them where shot in on of the oldest buildings owned by the Ayuntamiento and the other video was shoot with an incredible panoramic view of the Ocean.” Ms. Acosta Zavala holds a Bachelor’s and Master’s Degree from the University of Arizona. You can learn more about her at her website bio page. Don’t forget to subscribe to her YouTube channel to keep up with her great videos.